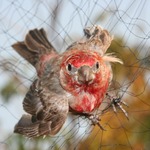 Netting and banding birds has for a long time been used as a tool for investigations in avian biology and ecology. 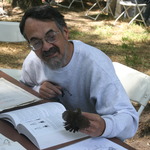 The bird banding station at Stone Lakes is active throughout the year and has been in continuous operation since April 1996. Over 30,000 birds from over 100 species have been banded at the station. This request is a stop-gap while long-term operations funding is secured. Funds raised beyond the requested amount will be used for banding station operations. Capturing birds through the use of fine-mesh nets (mist nets) is an establshed method to provide live birds for banding studies. The captured birds have attached to their leg a numbered band that is unique with no duplication of the number. Information about the bird (species, body measurements, body condition, gender, reproductive status, etc) and the unique band number are recorded and also catalogued at the Bird Banding Laboratory in Laurel, Maryland - this is freely available to researchers. This data is valuable to the wildlife refuge in their land-bird monitoring program and helps in making decisions regarding restoration and management activities on the refuge. It also provides information for establishment of optimal bird habitat for migrating birds in the Pacific Flyway. This station has been in operation since April 1996 - making it one of the longest operating banding stations in the Central Valley of California. Since that date, over 30,000 birds in over 100 species have been banded. The data from this station are combined with all data collected throughout the US and Canada for analysis and development of estimates of bird population size, survival, and movement. This station operates throughout the year - this is rare as most stations operate seasonally. Over the years, a variety of smaller within-type investigations e.g. estimates of local recruitment, territory size, and site fidelity have also been conducted. Color bands and telemetry to map territories and record local movements of a variety of resident species were used for these studies. The long-term goals are to continue this research well into the future. For short term, this funding request helps to bridge the gap between the loss of previous funding and developing new funding sources. Recent retirement from the primary supporting agency resulted in loss of support that previously maintained the long-term bird banding program. Such long-term research can provide data relating to ecosystem level changes that may also shed light on avian responses to climate change. Nearly 20 consecutive years of continuous data have been collected through the present, therefore it is important that this long-term study continues. Other avian studies encompassing decades in length have provided valuable information regarding avian biology and more recently the effects of climate change. Since June 2015 the bird banding station has not received funding for operations and is now supported by volunteers. Mileage compensation is proposed to assist with continuation of the banding effort for this year while further long-term funding sources are sought. Stone Lakes National Wildlife Refuge provided material support in 2015 by purchasing mist nets to replace worn out nets and also purchased some banding tools. The mileage compensation is intended to bridge the time gap between the recent loss of funding support and any establishment of new funding through on-going grant writing efforts. We can only determine the long term effects of both climate, and of mans nearby habitation. In this case near the large city of Sacramento is an oasis of life. I believe this is a great project to help learn more about both of those in the Central Valley/Sacramento area. I know that Stan is dedicated, works extremely hard and has been collecting some great data. Please help him continue this research. Long-term projects of this sort are all-too-rare and yet extremely important for understanding temporal changes in bird populations. Stan's exemplary efforts in this area have been immensely valuable and are well-deserving of continued support. This is a remarkable project that I am so very happy to endorse! Not only is the research immensely valuable but also the educational opportunities afforded to our students in the Field Ecology program at SCC is unmatched for a community college. 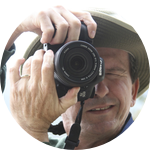 Stan recently joined our faculty as a part-time instructor and has been able to provide opportunities for our students to help with the research and to learn from a master bird bander. Stan is a fantastic biologist and I feel so very fortunate to be able to work with him! Please support his project. Stan has been working with birds in banding studies for three decades and has been operating his own bird banding station (continuously) for nearly two of these decades. Recently retired from government service, Stan now teaches college biology courses as an adjunct professor and continues to operate the bird banding station as a volunteer. Long term monitoring of bird abundance, diversity, and migration times is an established tool in avian studies and in the observance of climate change. 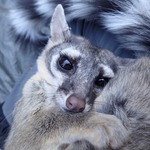 Careful noting of the start and close of breeding activity and recruitment of resident species over multiple years could indicate changes in the availability and timing of local resources that are based on local climate conditions. Also the arrival and duration of migrant species may reflect the timing of spring movements north, breeding periods, and the fall return to southern wintering locations. The first arrival dates, duration in the area, and departure dates for spring and fall migrant bird species can be compared from year to year and against those dates in past decades. Changes in the abundance and recruitment of resident species over time may further reflect changes in the timing and availability of spring and summer resources.